We can send directly to the recipient—just indicate in the "Customization Instructions" field whom to issue the certificate and any sentiment. (You will see this once you have added the certificate to your shopping cart.) Then fill out their mailing address in the "Ship To" information during the checkout process. Our online checkout may incorrectly charge shipping for orders with gift certificates. 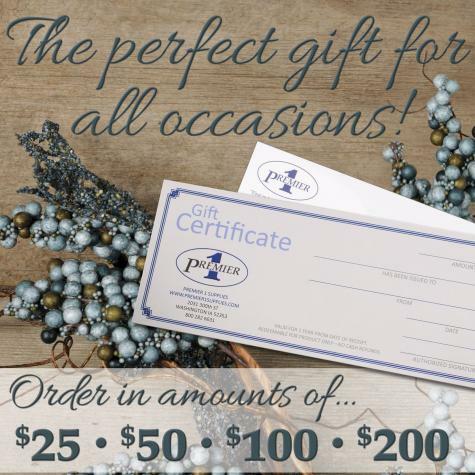 We will deduct any shipping costs related to gift certificates after your order is received.